“Any Time Any Where Any device” Edumia is web based School Management Software, You can access it from any device just with an internet connection. Friendly customization option for your needs. We are there for you to help with the customization. Developed with it’s users in mind. You only need to have a basic knowledge in computer to manage Edumia. Powerful super advanced east to use admin panel. One click student profile for all institution related information. Edumia is build with retina ready design. Access Edumia from any device. Parents can pay the fees through credit card, Debit Card or Net Banking. 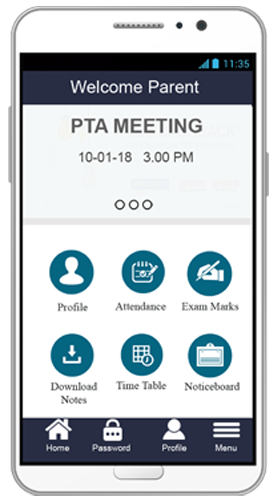 Hassle free daily attendance system with notifications to absentee’s parents. You get more than a great school management software. You get a partner to support you along the way. We provide you a primary contact to reach out when needed. You have a face and personal contact information to use out. When you speak we listen and respond.